★Shimmering flat cable chain, standard length as shown is 16 inches for the shorter strand, and 18 inches for the longer strand. Please see the very last photo for a helpful size guide! ★10mm dainty discs (3/8", thick 20 guage), stamped with your initial choices - uppercase script font shown. Please see the fourth photo for font choices! ★Initials for this necklace come non-darkened (as shown). If you would prefer the initial darkened, please specify at checkout. ►Please be sure to include your initial/font choice(s) in the "message to BijouxbyMeg" box in your Etsy shopping cart! 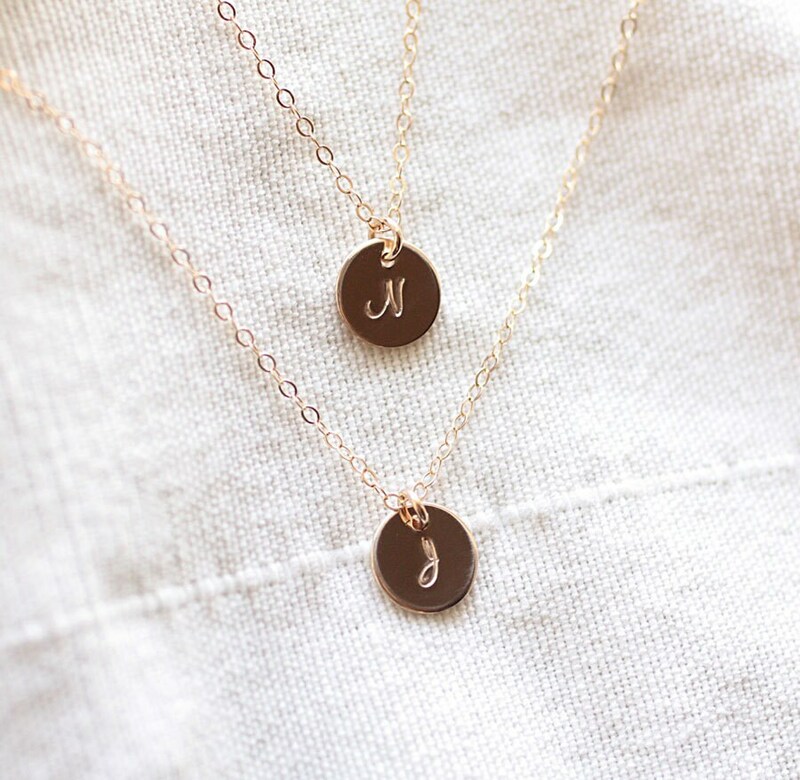 ♥Would you a single initial necklace? https://www.etsy.com/listing/108936848/tiny-gold-initial-necklace-personalized.